Petrified wood can assist anyone who is feeling stuck or experiencing being frozen in time. It helps to create balance and offers a foundation from which to launch new goals or undertake a different path. 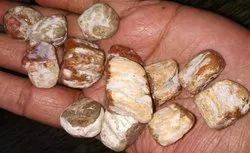 Petrified wood is also a wonderful grounding stone. It helps to calm scattered energies. We are a top-notch organization, engaged in providing Petrified Wood Slab. Owing to the wide experience in this domain, we are instrumental in offering Petrified Wood Slab. Our company has been successful in winning appreciation from the clients as one of the most prominent names in the trading of Petrified Wood Slab. Our reputed entity is engaged in supplying Petrified Wood Slab Stone. In order to meet excellent quality standards, we are supplying Petrified wood Slab.